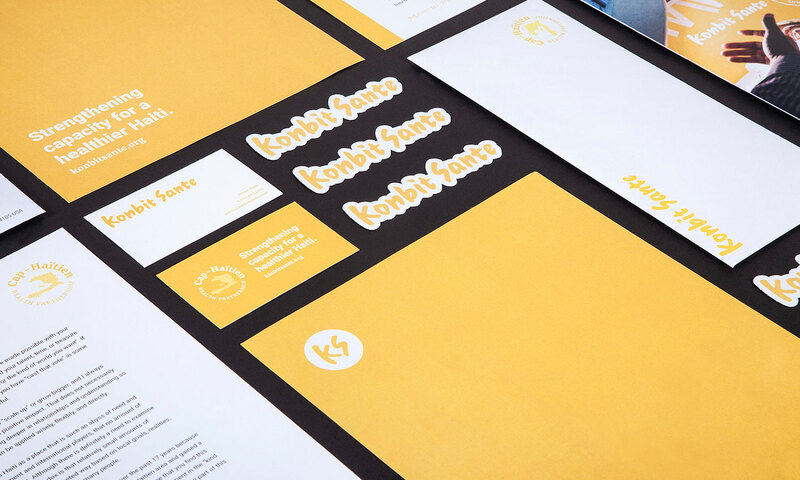 Sometimes, the best branding projects grow organically. 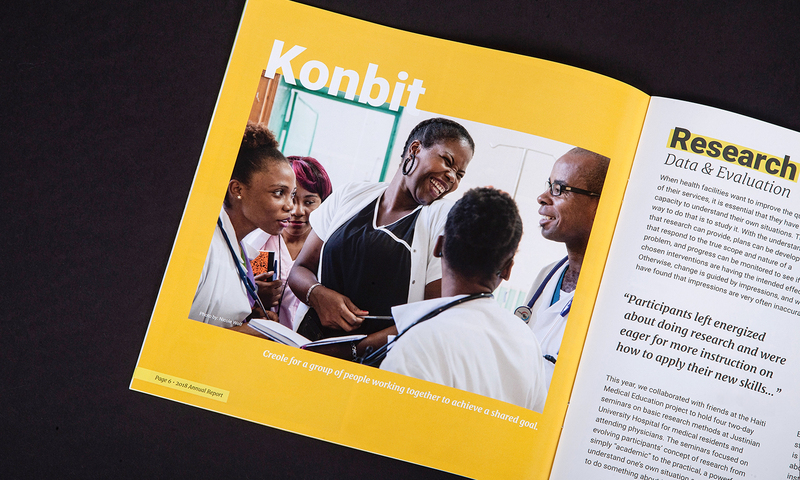 Konbit Sante approached the studio for help with their 2018 Annual Report. We took the project as a launch point for a full rebrand of the organization. We started by interviewing stakeholders including workers, volunteers, directors, and board members. This allowed us to gain a full understanding of Konbit. 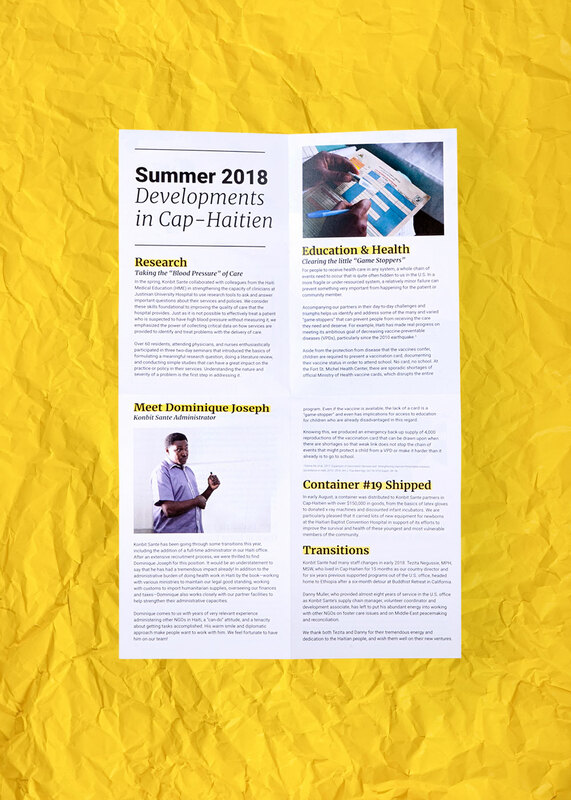 Then, we played our perspective back to the client with concepts applied to possible directions for the 2018 Annual Report design. 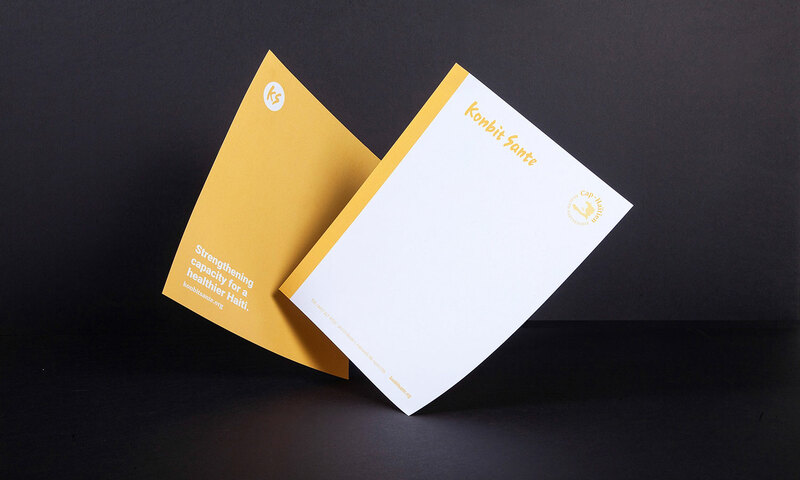 This included both brand visual identity and brand voice exploration with the 2017 Annual Report used as a benchmark for comparison. 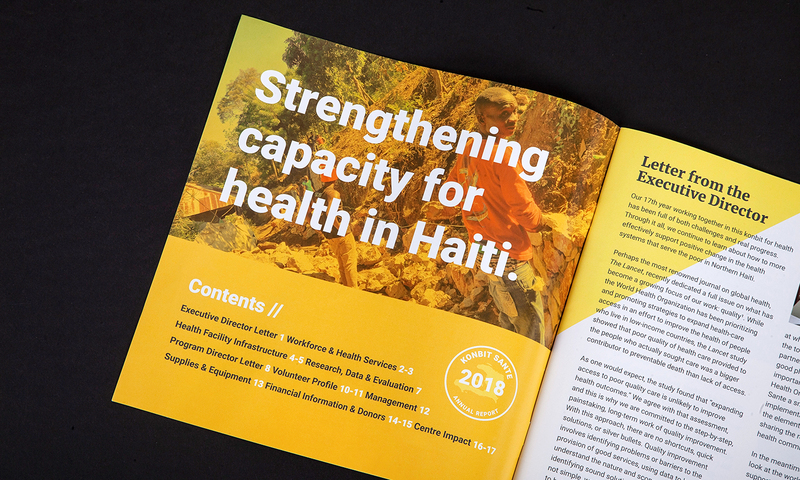 As our vision aligned with decision makers within the organization we designed and ran production on their printed Summer Newsletter, 2018 Annual Report, supplied the client with new stationery as needed and built a custom website. 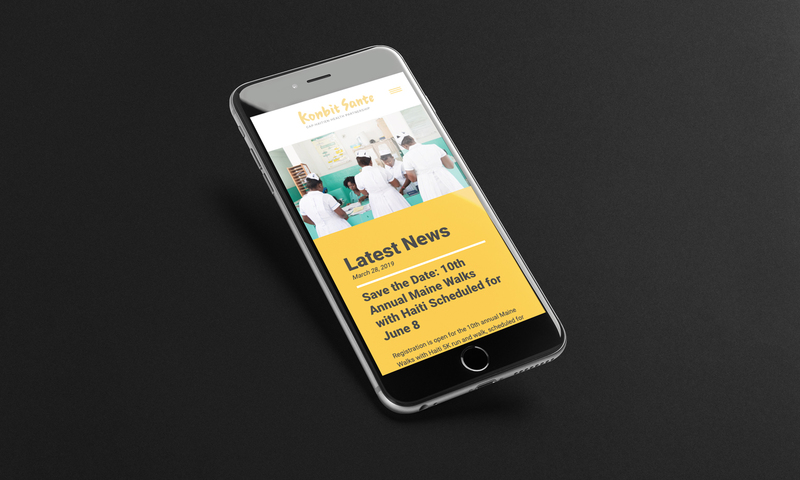 The website design involved a lot of content, which we helped organize. Our goal was to build a platform that acted as both a resource for viewers and a tool for the client to deliver content. 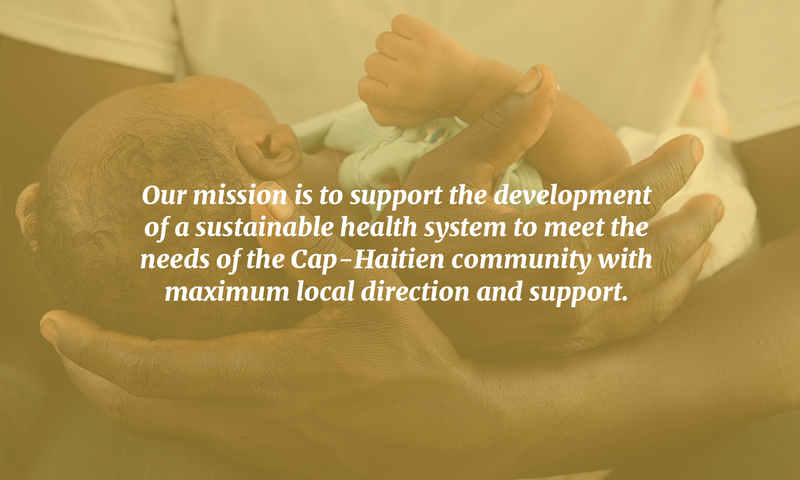 Easy ways to donate and get involved were also highly important aspects of the site. 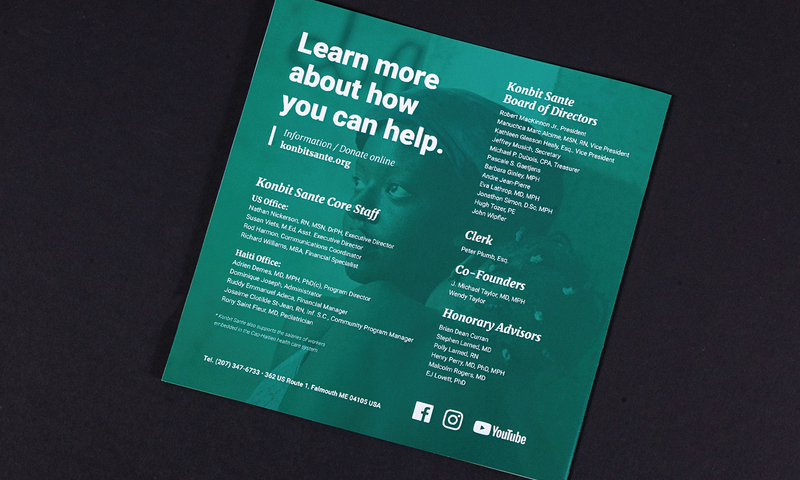 The site needed to feel trustworthy and all aspects of the brand identity that we developed helping clarify Konbit’s positioning surrounding the medical field needed to come through clearly. 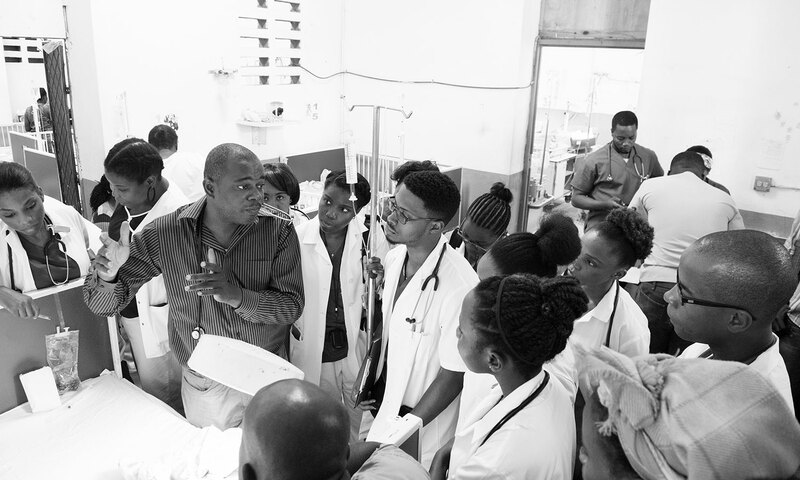 Positioning the brand as a smart, trustworthy organization making a difference in the medical field. A website designed with multiple user-flows in mind and plenty of room for discovery.